Within Teamwork Projects, you can add an announcement to your project, which will display on the project overview area. To add an announcement, go to the project's Settings tab. Alternatively, you can access the settings via the project's Overview tab. 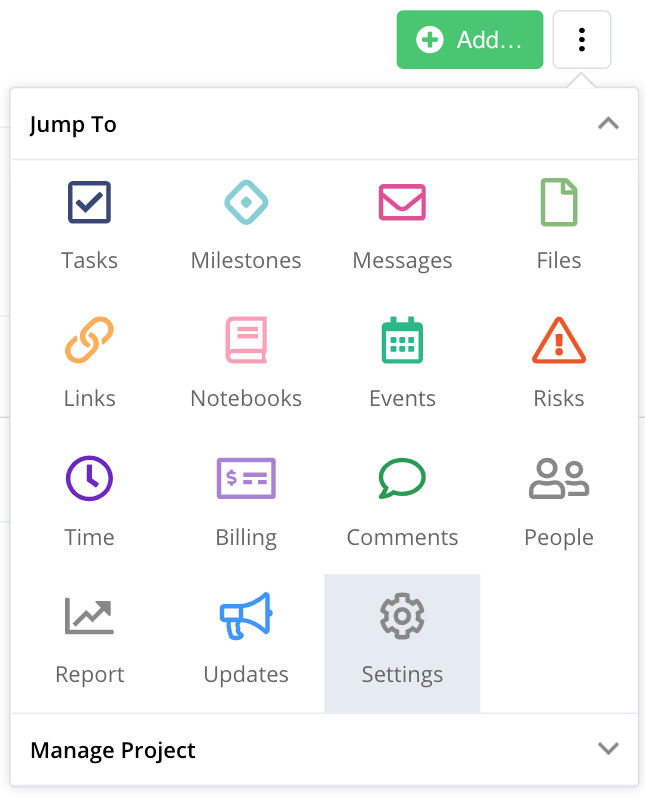 Click the options (three dots) button to the top right of the Overview tab and select Project Settings from the dropdown. 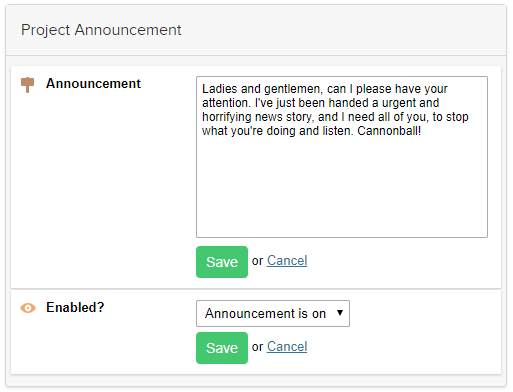 Within the Project Settings area, you will see an announcement section, where you can add your message to the text field. You will also have the option to enable/disable the announcement. You can use markdown to format your announcement, for example to add headings or links. Once you have added an announcement, when you hover over it (as long as you have the appropriate permissions) you'll also see an edit link to the far right of the announcement allowing you to update it from this screen.